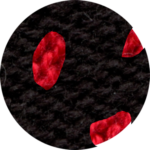 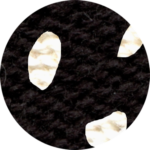 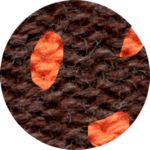 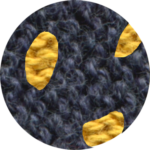 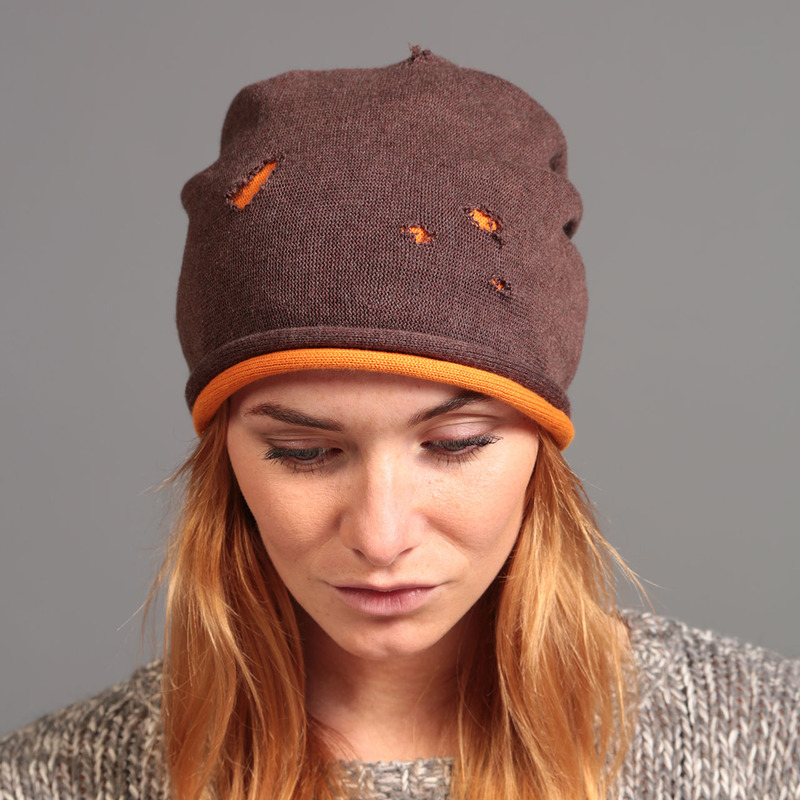 Two beanies on top of each other – the upper one beeing torn, so the inside color shows through the cuts and also at the edges. 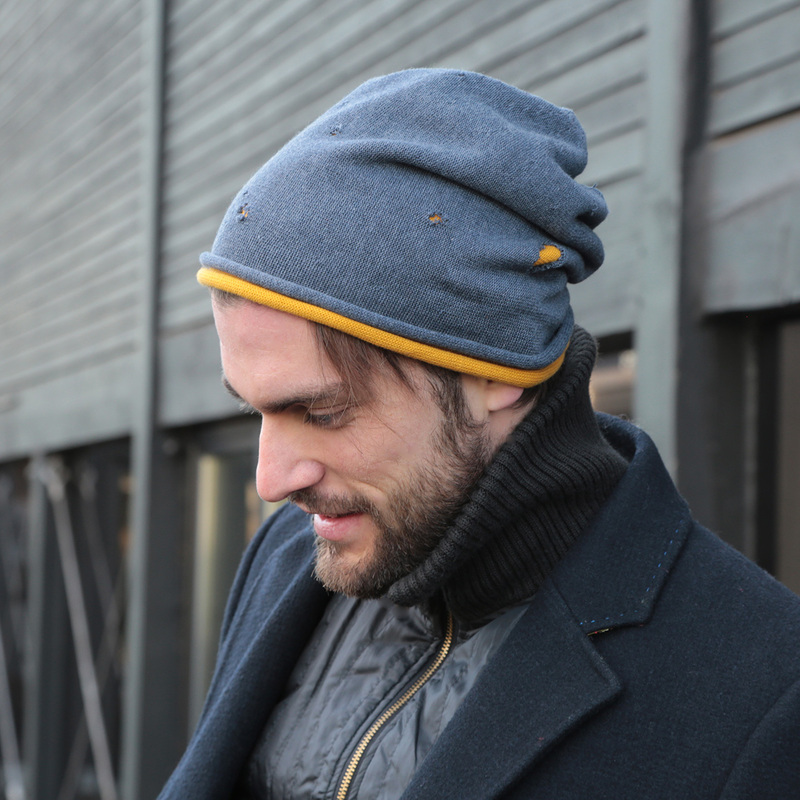 In case you should think this beanie too small, just stretch it manually to whatever size you need. 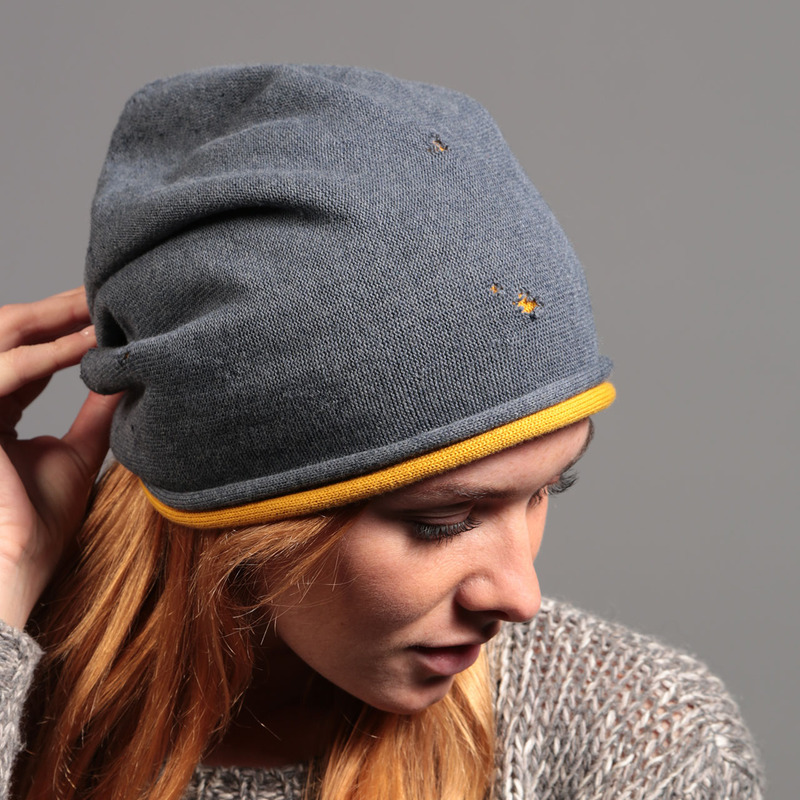 Cotton beanies can take it!